More than any other, the judicial sector is steeped in tradition. Court decisions made 100 years ago still influence cases today. Precedent could indeed be considered the heart of the profession. While technology has not changed how the law proceeds and reaches judgments, it has transformed how information is exchanged in profound ways. And that’s something legal professionals have to reckon with. Patrick Chavez, chief privacy officer at financial services firm Edward Jones, has set up shop at the intersection of technology and the law. He is on the vanguard of electronic discovery, or e-discovery, which is the application of the legal discovery process to electronic communications. In addition to leading an e-discovery team at Edward Jones, he has written about and frequently speaks on the subject. Chavez hopes to help other attorneys and companies become more aware of the ins and outs of e-discovery and teach them how to reduce associated costs. Chavez was born in Texas, where his family had lived for generations—since it was Mexican territory. As a child, he had a natural affinity for technology. He devoured science fiction books, built computers, and even had aspirations of becoming an astronaut. It wasn’t until high school, participating in debate and mock-trial competitions that his ambitions became more earthbound. 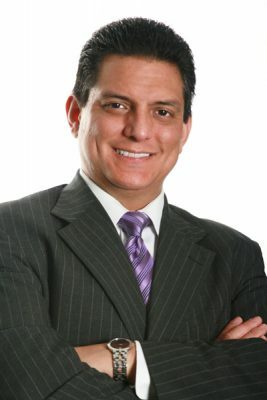 Then, years into his legal career, when electronic communications began to play a larger role in legal proceedings, Chavez discovered a way to marry his original passion for technology with his career. Chavez had an interest in e-discovery even before the subject was incorporated into the rules of federal procedure in 2006. As an associate, and eventually a partner, with Williams Venker & Sanders LLC, he handled cyber issues and sharpened his practice with theories regarding e-discovery. In 2014, there was an opportunity to go in-house with Edward Jones to help the investment firm create an e-discovery center. He jumped at the opportunity. Chavez has since held several roles at Edward Jones, all revolving around data and information protection. He has held the titles of chief privacy officer (setting policies and protecting data), director of records and information (determining how long data is kept), and has been leader of the company’s discovery center, which is now an integral part of the legal department. He says that the key to managing e-discovery is recognizing that while communication has not changed, its volumes and its forms have—thus, requiring evolving strategies. Because lawyers are still accustomed to dealing with paper records, Chavez has found it helpful to look at electronic records metaphorically: an e-mail is a record, attachments are enclosures, etc. A further adaptation lawyers have to make in this new world is dealing with the amount of raw data available. Financial services is a heavily regulated industry, which means that Edward Jones has to keep a lot of information to satisfy its regulatory responsibilities. The more information held, the greater the risk. Requests for information, which Chavez handles, come from regulators, litigants, and vendors. His role is to preserve, search, collect, and get requested data out the door. The process basically follows a flow chart that begins with information governance and ends with production. In fielding requests from any of these entities, Chavez works to protect the company, its employees, and its clients by making sure that only information that should leave the firm does. Even with the technological evolution, Chavez maintains that law remains structurally the same as it was in the paper era. The important thing for business leaders is to recognize the differences in electronic communication and data, and adapt accordingly.